Is it Time for MagLev? Japan reached "peak people" in 2011, when its population reached 127.4 million residents. 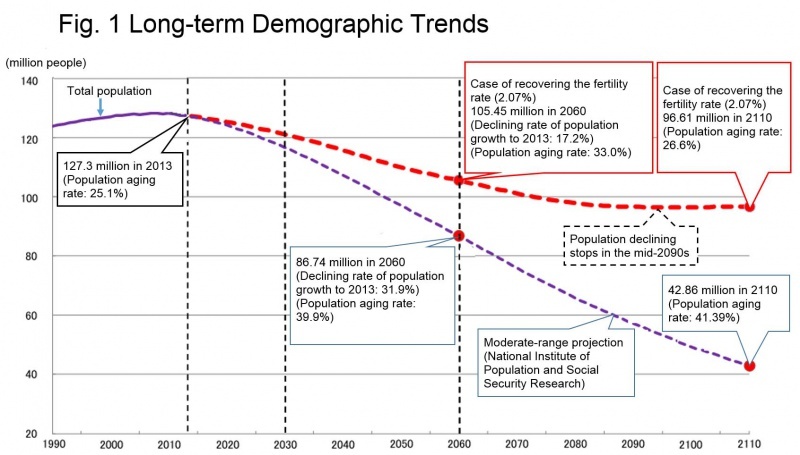 From that point, all trends point to significant population losses. But, there is by no means unanimity on the extent of those population losses. Population projection is anything but an exact science, and Japan provides perhaps the ultimate example. Can Kamaishi, Japan Recover From the Tsunami?